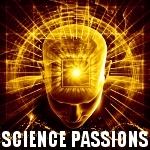 By voting on the books listed, you can help to determine whether a book is related to the theme of Science Passions, or whether it is a non-related, but popular, book among the members of the site. If you believe a book in the list below is 'on theme' with Science Passions, vote that it is relevant. (If you don't know, just skip it.) Over time, we hope to have a library of books that should be of interest to Science Passions members. Anthony Rizzi, a distinguished physicist, answers these questions and more. "What a terrific book! !...The time is now. Philosophers, scientists, and the educated reader will profit enormously from this book. "Science and Society" features readings based on several compelling and provocative issues from a number of well-known writers. This reader is an ideal supplement to any course that focuses on writing about science-based subject matter. Reconciling Rival Theories of Origins Richard F. Carlson, Tremper Longman III. God for every scientific discovery. For each scientific discovery makes it clearer and clearer just how God creates, but not why he cre- ated. Genesis 1 and 2 do tell ..